The ever-popular, Airparks Meet and Greet service is now available in Birmingham. The convenient service means you can drive straight to the airport terminal, where you will be met by your professional driver. Once unloaded, you are free to make your way to check-in whilst your car is parked for you. What's more, with our new package, your car will also be cleaned for you. This parking service is quick and easy, it's a great way of saving time and also hassle, especially if you are travelling with a lot of luggage or young children. Took about 20 minutes for the car to arrive waiting in the cold, but apart from that excellent. 20 minute wait on arrival for driver to arrive to collect our car. On return from holiday, car returned on time. We had to change the car details and craver details at the last minute, it was easy to do, and at no charge, excellent, As the new driver hadnâ€t been to Birmingham airport before, he was a little apprehensive, however he found the signage easy to follow, to park up, and could only give praise at the service provided, on return the operatives were polite and curtious, Thank you. Our customers rated Airparks Meet And Greet Valet on average 8/10 (256 reviews). Read Airparks Meet And Greet Valet reviews. 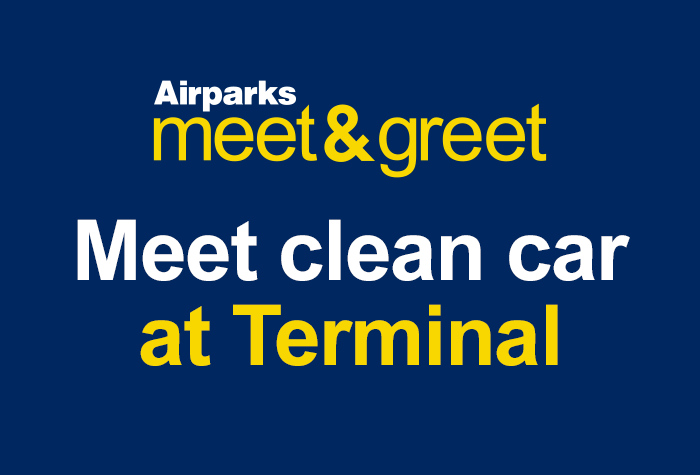 Its the same great Airparks, but with a helpful meet and greet service and a car wash included! 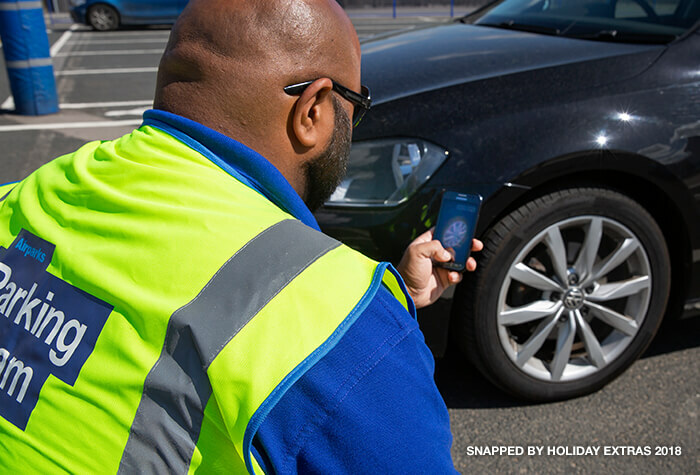 This handy meet and greet service is one of the most convenient ways of parking at Birmingham airport. Give Airparks a call when youre about 20 minutes away from reaching the airport, and when you arrive head to the Valet Parking car park, collecting a ticket from the barrier. Your dedicated driver will be carrying ID and waiting to meet you there. Hand them your keys and head into the terminal - it's a short 2-minute walk to check-in. Your car will be parked for you by Airparks' fully-insured drivers in a secured car park. When you return walk back to the Valet Parking car park where your driver will be waiting to return your freshly cleaned car to you. Youll also be given a ticket allowing you to exit the car park without paying. The car park also holds the Park Mark award for security. This parking includes a hand wash with shampoo and wax to the outside of your car, a door shut and tyre clean, then a leather dry. 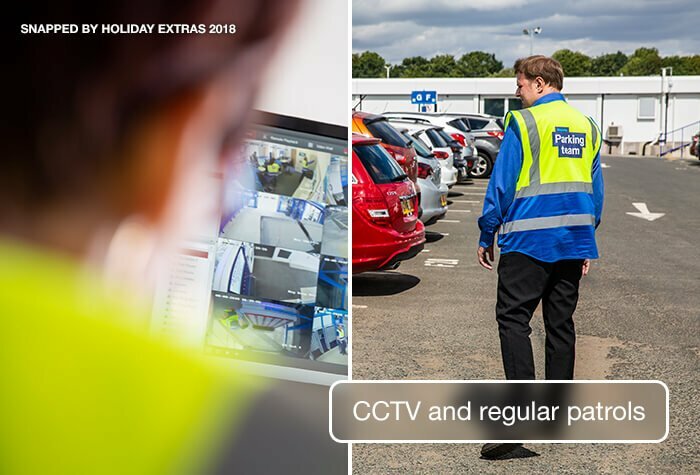 If your car is bigger than a standard size parking bay (2.4m wide x 4.8m long) it must be pre-arranged with Airparks before your arrival date and you will need to pay extra charges. Call Airparks to let them know when youre about 20-30 minutes away from the airport. When you reach the terminal follow signs for the Valet Parking outside Departures. Take a ticket from the barrier and park in one of the designated Airparks bays. Your driver will be wearing a hi vis jacket and carrying ID waiting to meet you. They'll take your ticket and keys and photograph your car before moving it to their secured car park. After dropping off your car take the 2-minute walk to check-in. Collect your luggage in arrivals and give the car park a call to let them know you're ready for your car. Follow signs for 'Valet Parking' where you dropped off your car and it'll be waiting for you in the designated Airparks bays. The car park will give you a ticket which allows you to exit the Valet Parking car park. Make sure you're at the car park no longer than 10 minutes after your call otherwise you may need to pay to exit the car park.